Andrew Hogarth – The Power of a Quality Image. The Power of a Quality Image. 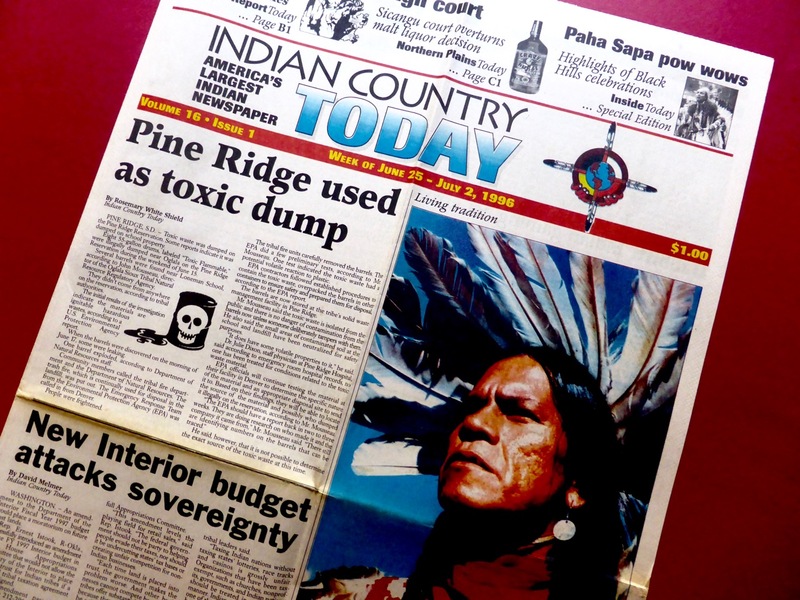 In the summer season of 1996 while on the road driving around the Northern Great Plains I stopped into the Lakota Times in Rapid City, South Dakota. I spoke with journalist Avis Little Eagle and we arranged for a interview regarding my upcoming photographic exhibition “Battlefields, Monuments and Markers: The American West at the Gallery of American Legends in Custer to be highlighted in their June/July Indian Country Today Issue. I left one of my prints of Raymond Cree with Avis and two weeks later I was driving back to the Black Hills from Cody, Wyoming and I stopped in Sheridan, Wyoming. I entered one of the two local bookshops and I quickly went to the Indian Country Newspaper Stand and picked up the new issue. Splashed across the front cover of the large broadsheet was the image of Raymond Cree. It was such a buzz to know that this particular publication was distributing my image across the whole of the USA. It was certainly one of my most powerful images and today on Facebook sixteen years later I discussed the image with Raymond on the message board. Raymond informed me that he received dozen of phone calls asking about the image and how it had inspired people in the native American community across the country. When we created this particular image at the Crow Fair in southeastern Montana in mid August 1995 I was down on one knee on the gravel track outside the powwow arbour. The grit was cutting into my jeans and all I could think about was getting the job done and standing up on my two legs once again. People were walking past making comments in a good humoured way but Raymond and I managed to stay focussed and one of the five images created turned out to become a timeless gem. 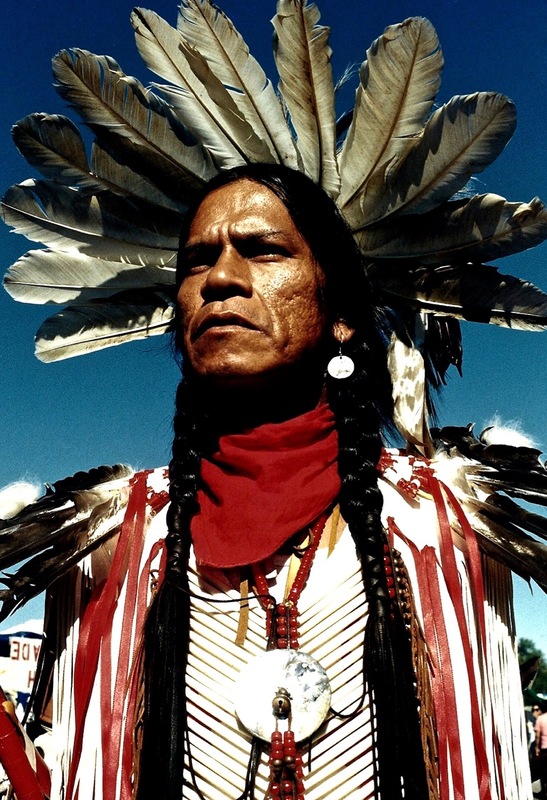 This particular image was eventually selected to be included in the 55 image Powwow: Native American Celebration Photographic Exhibition that once developed with wall text was one of only fourteen art forms worldwide picked by a panel of Exhibit USA museum curators in April, 1998 for a three year National Tour of the United States of America and Canada. The opening five week showing of the booked out tour was at the National Civil Rights Museum in Memphis, Tennessee. The museum was built on the site of the Lorraine Motel where Dr. Martin Luther King was murdered. It was a great honour for myself and all the powwow dancers whose photographic images were included in the Powwow exhibit. This entry was posted onTuesday, August 21st, 2012 at 4:54 pm and is filed under Great Plains, USA, Photography. You can follow any responses to this entry through the RSS 2.0 feed. You can leave a response, or trackback from your own site.